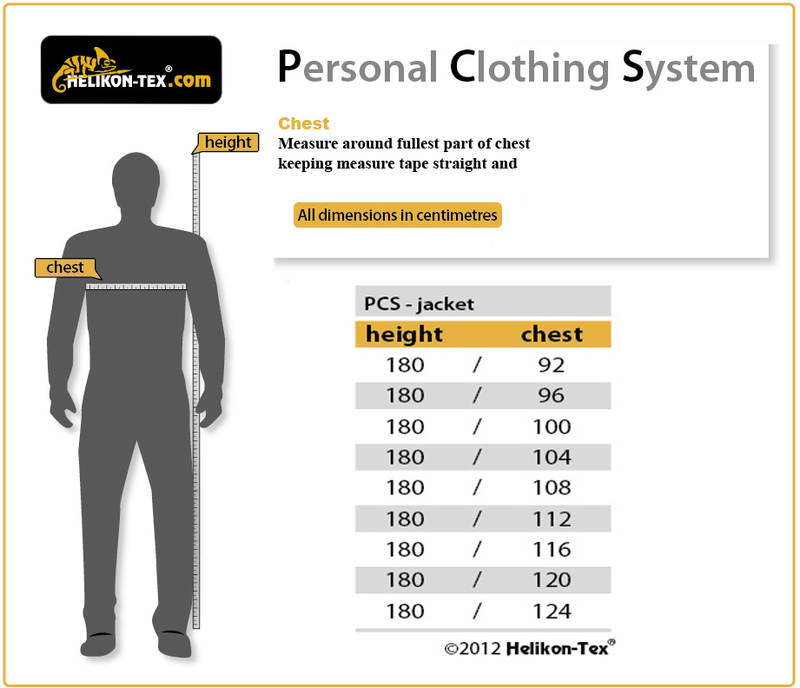 Helikon PCS Shirt (Personal Clothing System) is the ideal shirt to replace issued MTP shirts when they have been lost or stolen. 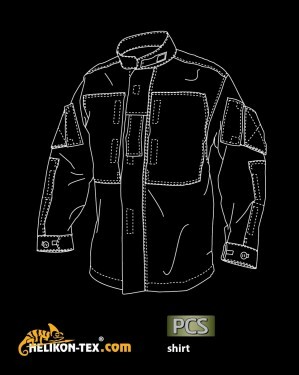 The shirt has a variety of pockets in different sizes each featuring a Velcro fastener making the shirt look neat, smart and quick and easy to use. There are two large chest pockets with vertical openings for prompt and easy access, each containing inner pockets to hold your smaller, vital items such as pens/pencils and one also contains 3 attachment points. Next is the angled pockets on each upper arm again making it simple to get into, which are big enough to hold items such as notepads. Both have large Velcro patches on the front which come with removable tabs to cover up the Velcro or it can taken off when wanting to have your Velcro/ zap badges on. Then we have the 2 smaller extra pockets on each lower arm again perfect for your smaller items . The cuffs on this shirt contain two buttons for your own comfort adjustment and Velcro fastened chest epaulet for a unit or rank slide. This shirt also contains a mandarin colour with a Velcro patch and tab. This shirt is such a smart, detailed yet simple looking shirt that is perfect for any candidate in the forces. The way the pockets are hidden and designed is incredible making this shirt a must buy !